The switches and the head light switch look almost identical to those in my 62 T Bird. Those w. the integrated dash board light dimmer are causing problems. I had the chance to buy an OEM switch for peanuts. Unfortunately I can't remember where from. Maybe it was from a normal FORD dealership. There are quite a few parts you can get from a ford dealership without having to pay boutique prizes. I would always try to call them first. Good experience so far. Thanks Theo, with three cars to choose from we seem to be well covered on switches, and lots of extra parts. But for the person that doesn't have that.....advise is well given. 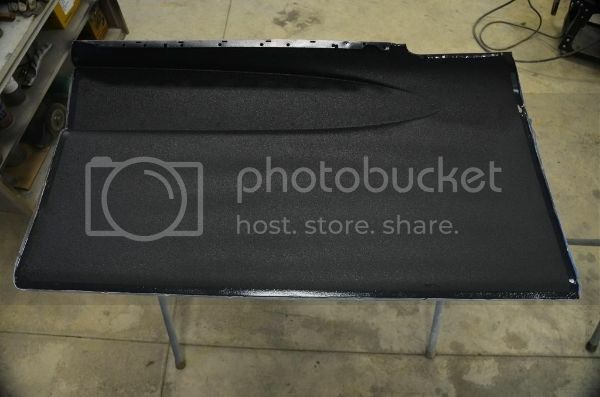 Skinned trunk lid, notice pad still on the lid. Blasted body came back today. 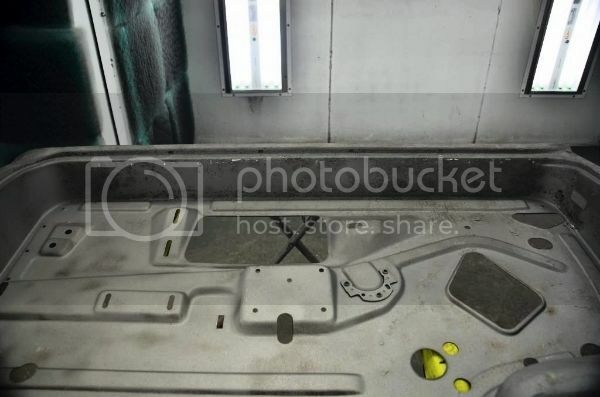 We used a different method to do this car, and were very pleased with the results. Here is a link to what was used: http://www.rdsamerica.com/DustlessBlasting.htm. On the wagon we used two different methods, soda blasting that doesn't take off rust and leaves it really smooth where you need to wash it with soap and water and rough it up before priming. The other, sand that was pretty rough and takes off more steel then necessary, so you have to really lay on the primer to fill in the profile. 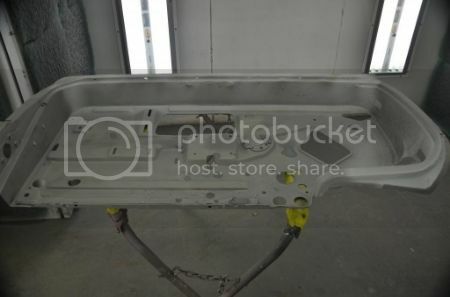 Besides the pin holes, rust spot, and a crease above one rocker panel, this car was in much better shape than we hoped for. Not much going on for awhile. Parts continue to come in, others taken apart. Wiring. As with the Colony Park wagon, very impressed. Misc. screws, bolts, etc. for plating. All nicely labeled. This is a Giga restoration project. I'm curious to see the results. Cool. As someone who has spent way too much time fretting over matching date codes, stray paint marks, plating finishes on brackets, build sheets and other codes, I completely respect your thread and appreciate the time you've taken to share it with the rest of us. It's also great to see the latest in restoration technologies like dustless blasting. I second that. Thank you Rick. I know it's been awhile since I last posted. But with all the stuff happening with my business and family it's been hard to take the time to get the photos Dane has sent and edit them for this forum. 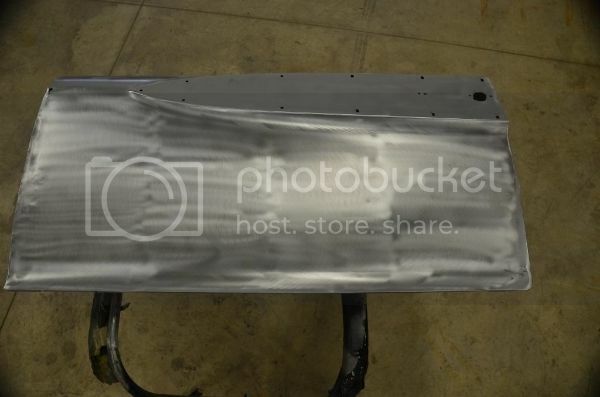 I think I like the old system of photobucket better than the new one. 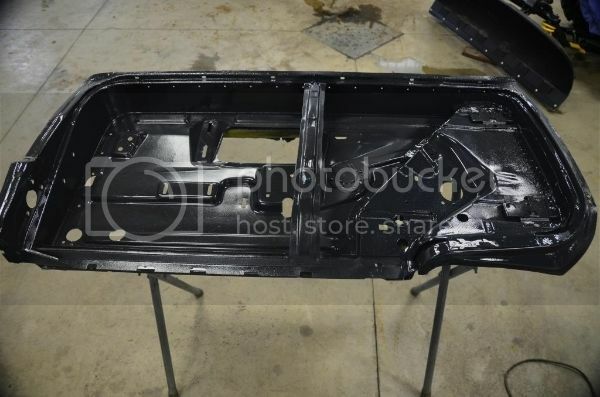 As mentioned before we tried a different blasting sytem for this restoration and were extremely pleased. Now we are using a different system to fill all the pinholes. Again we are very pleased with the results. 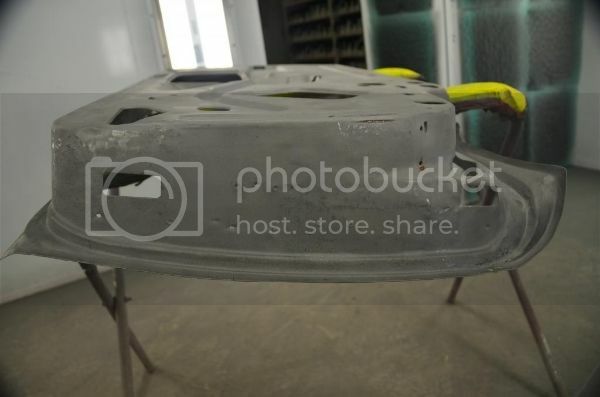 We did split the doors, hood, trunk lid, etc.. On this post we will show what the doors went through since they were the worst part of the car. The inside of the door with dents, wrinkles. 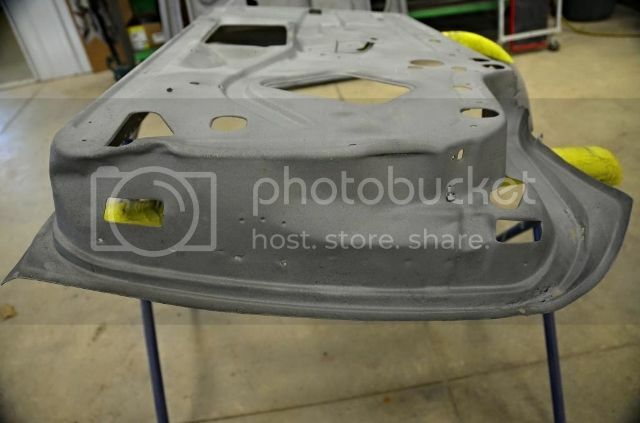 PPG CRE Primer on the inside facing parts. 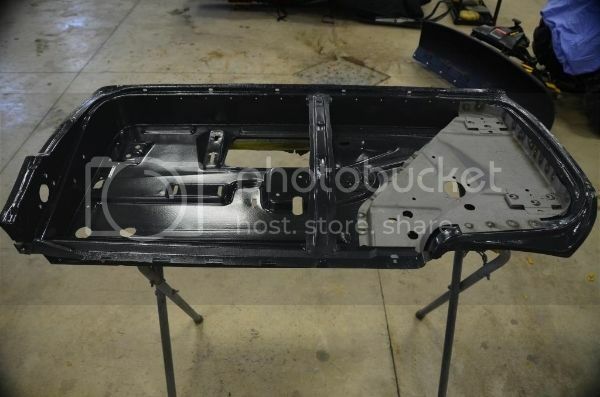 And putting the inside split parts back together. And the door skin. Which was first shot with the PPG, and then with rubberized coating for sound deadining. What an impressive and challenging project this is, and outstanding work I must say as well. Most people have absolutely no idea of how complicated and hard it is to restore a car like this, not to mention how hard it is to find good parts. Back when I restored my 59 Park Lane convertible I could still find lots of NOS parts at reasonable prices, which helped me a lot to build the car back to better than new condition. Those days are gone, and today you have to restore almost everything, and for the chrome parts that is not going to be cheap. Oh well, nothing on these cars comes cheap anyway. I am so much looking forward to follow this restoration. Keep up the good work. BTW, where did you order the new wiring systems for your car?